Gloucester County Women's Club | GFWC Gloucester County Women's Club, Inc.
GFWC Gloucester County Women's Club, Inc. Welcome to our club page!! Share your enthusiasm, ideas, talents, and friendship! Woman’s Clubs are constantly adapting to today’s world. We have many interest areas and numerous self-contained programs. Woman of all ages, from all across Gloucester County, help with our volunteer efforts and enjoy the camaraderie of our friendly club. As always, members help with events that they have time for and an interest in and are free to step back when their work or family life is at a busy time. Our members have diverse backgrounds and unique interests. Have an idea? Bring it to one of our meetings and we can help make it a reality. Come join our group for the opportunity to grow, learn and make new friendships! Meetings are generally held on the second Thursday of the month at the Mantua Community Center at 111 Mercer Street in Sewell, NJ. Congratulations to the club for winning two third place NJSFWC State awards at Convention 2018! Congratulations to Patricia Dahl for being elected Garden District Vice President. as chosen by the President and Membership team. Thanks to Lena, Mary, and ALL of our members for a terrific club year! Backpacks full of supplies were purchased, assembled and dropped off at local schools by clubwomen this August. 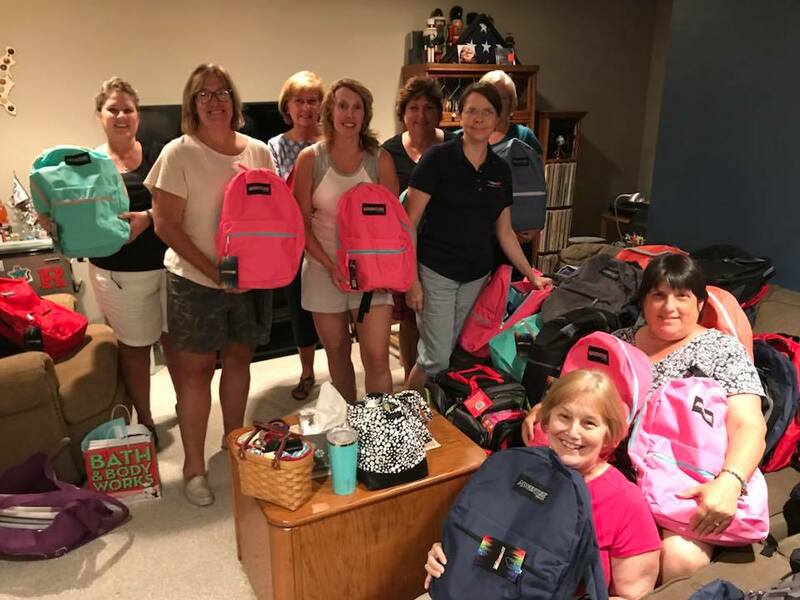 Thomas Jefferson, Wenonah, Pleasant Valley, Harrison, and Bankbridge each received backpacks stuffed with school supplies. Mantua Mayor Peter Scirrotto Proclaims April “Child Abuse Prevention Month” and awards GloCo Woman’s Club members Debra Kain, Joanne West, and Gail Shast a township proclamation. 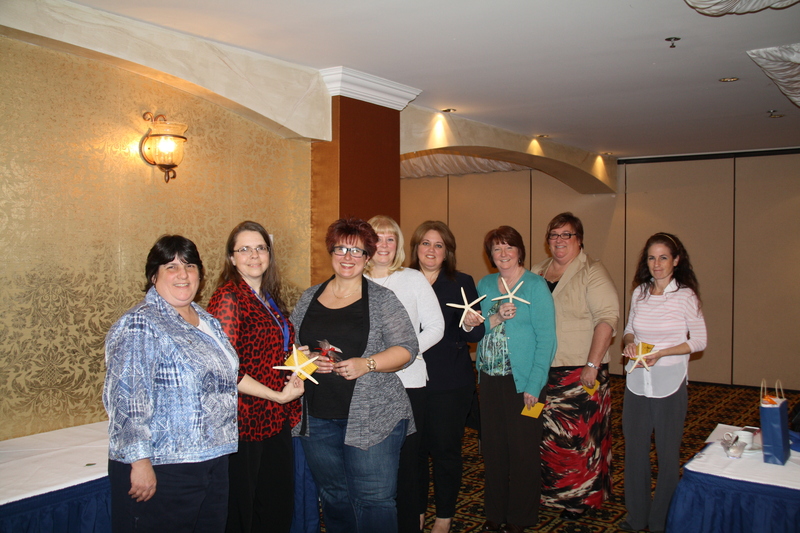 GCWC will plant several pinwheel gardens in Mantua, Wenonah, and Washington Township to spread domestic violence awareness. Mary planned and led a very productive night at Mothers Matter. With the help of Beth, Betty, Gail, Jill, and Lara, we will able to put together 80 bags in 2 hours time. They were very impressed with our work. Thanks, ladies! 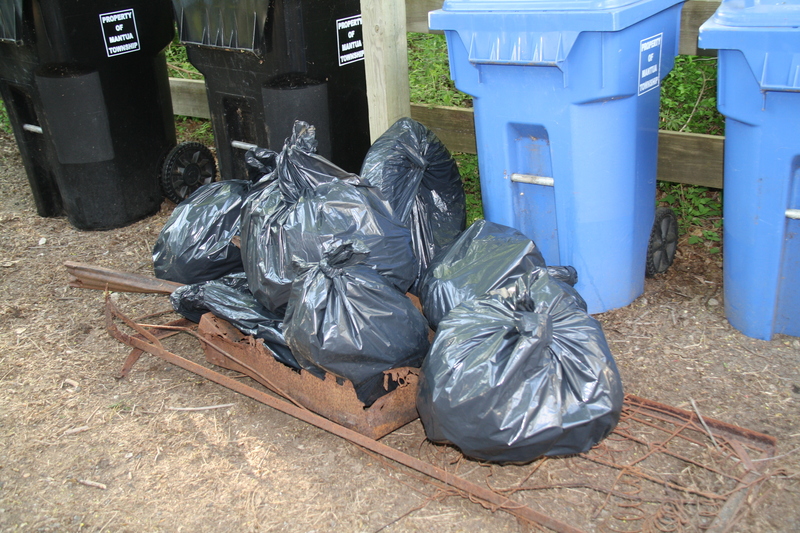 Each bag had about 12-15 items (all items are color coordinated). They set up stations for us to bag the items and later on, we all got creative and made up our own color coordinated bags. A chance to win all of these gift cards was just $1. Club women shopped for prepared, and served a homemade chicken dinner at Ronald McDonald House in Camden this January. The club also donated 6 Party Bags consisting a tablecloth with matching plates and napkins, favors and a cake mix with icing. Two bags were designated for older children (one boy and one girl) and the other four were themed – Batman and Captain America for the boys and My Little Pony and Shopkins for the girls. Our Paint & Sip was a great success. Funds will be used to provide backpacks and school supplies to families in need in our community. Thank you! 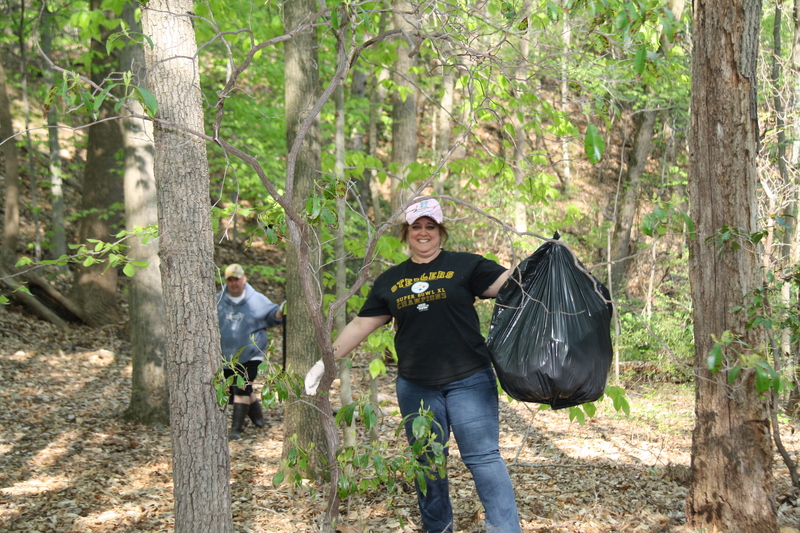 Many thanks to the Boy Scouts who helped us clean up Ceres Park, Mantua.